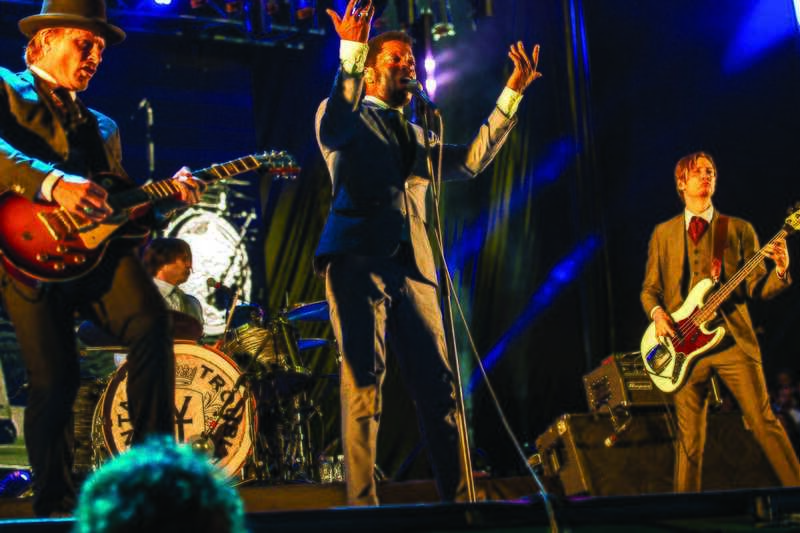 Exploding onto the scene back in 2011 with their unique blend of ‘50s inspired blues and high-energy performances, Californian four-piece Vintage Trouble has since toured with rock legends like Bon Jovi, Brian May and AC/DC. Grooving away in vintage three-piece suits, these debonaire dandies’ infectious and uplifting shows are as visually appealing as they are sonically. And with the magnanimous front man Ty Taylor spinning, shaking and bouncing around the stage like some kind of possessed male Tina Turner, you’d have to be made of stone to not have a good time with them. Now touring off the back of their latest album 1 Hopeful Rd., which they launched in August 2015, the Trouble will be taking to the stage at Razzmatazz on December 10th to blaze their way through both new and old numbers alike.